“HARRY” is our 1976 Rolls Royce Silver Shadow 4 door saloon registered in 1976 and has a beautiful grey silver chassis complimented with stunning chrome and a sumptuous leather interior trimmed with walnut. This car has a wealth of space to accommodate any dress design and the ride will always be remembered as one of absolute style. A beautiful classic car, fitted with a traditional leather interior adding that extra luxury to your wedding car. 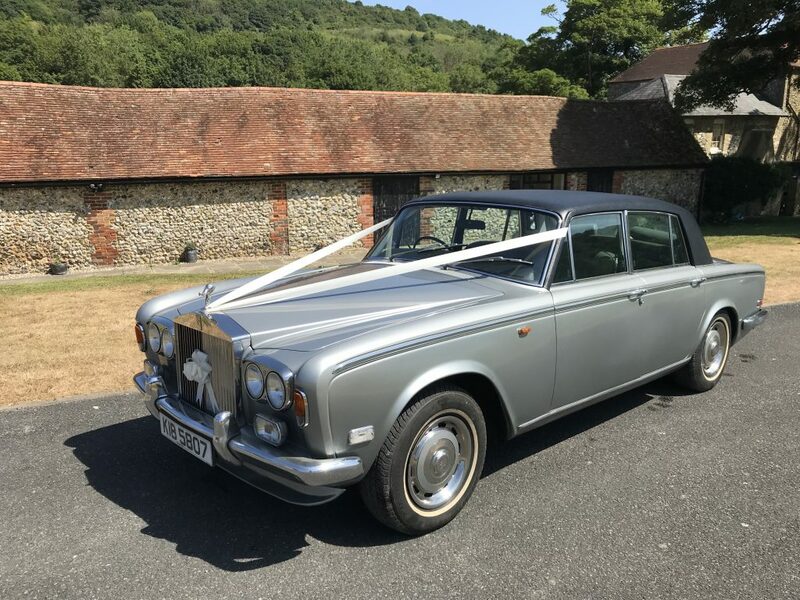 You won’t be disappointed if you choose our Rolls Royce Silver Spur Wedding Car in Kent.